My son is intelligent but wastes time at home watching TV and playing video games. My child gets average grades. I can’t get him to study maths and science. I know he can do better. My daughter was doing well in class. Suddenly she lost interest in studies and wastes her time sleeping. I am teaching Mind Mapping and other learning skills to teachers, parents and students for several years now. Often, parents and teachers approach me during the workshops and ask for help to motivate their children to study. And then I share with them, few insights based on my experiences, training and lessons learnt raising our own two children. 1. One of the fundamental question parent must ask themselves is whether grades alone define any child. There is no doubt grades are important. But grades cannot be sole criteria for defining any child. Why? Because each child has their own natural bouquet of strengths, intelligences and talents. As we know, there are different kind of ‘intelligences’ – logical, musical, conceptual, visual, language, martial, numerical, drama and art. Each child has his own natural set of ‘intelligences’. Some children are good with numbers, logic and words. Others have vivid imagination and can paint, write poetry, and are extroverts. Unfortunately, our school education system of one size fits all, focuses on left brained subjects like logic and numeric proficiency. Therefore children with a dominant left brain generally tend to score better grades. Children with dominant right brain have better imagination, conceptualisation, and music abilities. The grades they sometimes get are not so good. Therefore, despite having many talents these children, unfortunately, do not get the recognition they deserve from teachers and parents. These children slowly become shy, feel inferior and lose motivation to work hard. Parents and teachers therefore have to know about and understand these natural differences between children. Right brain dominant children are as intelligent as left brain dominant children, only in different areas. Parents and teachers have the challenging task of spotting each child’s unique talents, gifts and skills and to acknowledge them as often as possible. This will build the child’s self-confidence and self-worth. With appreciation and acknowledgement comes motivation to do better. I know of a student whose talent as a brilliant painter was spotted in junior classes. He won many national and international awards in school. But his mother was determined on making him an engineer. Maths and science grades to her were most important. She persuaded him to stop painting and pursue computer engineering after school. Despite best tuitions he did not get good grades in class 12 or in college and is an unhappy child. The lessons to learn are obvious. If parents push their children out of alignment to their talents, the consequences are not difficult to visualise. These parents are contributing to mediocre performance and lifelong unhappiness of their child. 2. How do we strengthen a child’s natural talents and develop less dominant ‘intelligence’? Today many online applications like ‘Luminosity’ and smart-kit.com offer a bouquet of games to develop different skill sets. I urge you to channelize your children screen time to use such applications. These applications gradually build you up to higher levels of competence in a fun way. They give immediate feedback and you can track your progress over time. In fact I recommend, parents too, play along with their children and make it into a family quality time together. 3. Then there are situations where some children do very well up to middle school but in senior classes they are thrown off balance. Despite hard work, underperformance in one subject is enough to lose self-esteem. They start avoiding teachers, reduce class participation and communication with parents becomes strained. Parents and teachers have to be vigilant to spot these subtle changes early on. They must repeatedly convey to the child that poor performance in one or more subjects does not define them. And that they love and value their child for what they are. Such genuine reassurances helps the child understand that parents and teachers honestly do not hold grades against them and that they appreciate that the child is making his best efforts. One of the ways to prove your sincerity is by focusing on the child’s learning processes rather than the grades. When the child shows you his test paper discuss how the learning process can be improved. Identify the root causes – careless mistakes, lack of understanding or ability to apply concepts. Encourage the child to acquire new age learning skills like mind mapping. Acknowledge the slightest progress made. And keep reviewing the process. Many eminent psychologists (Pavlov, Skinner, Berridge) have experimented with games which ‘reward processes’ rather than results. They concluded that praising the process children engage in, is extremely important to motivate them. This process praise of their efforts, perseverance, strategies helps build the child’s character, resilience and tenacity. Parents therefore, must not focus on academic grades. They must look beyond and help the child discover his unique talents and gifts. Once discovered they have to help their child nurture, use and enjoy these talents as best as they can. They must also make their ward aware of career options which will best utilize their natural gifts and talents. Only unconditional love and our acceptance of who they are will help them grow into happy individuals. 4. My son doesn’t listen to me. I don’t understand him. Dr Steven Covey in his best seller ‘Seven Habits of Highly Effective People’ explains that to understand another person you have to listen to them and not the other way round. Breakdown of communication between parents / teachers and children is a very common problem and often the reason for poor grades. You will probably jump up angrily and immediately accuse them of not appreciating the sacrifices you have made to educate them. Or, maybe you will start an unsavoury interrogation and be critically judgemental. These responses are not likely to lead to a satisfactory outcome. Instead, in such emotionally charged situations you should be listening empathetically. Empathetic listening is listening with your ears, eyes and your heart. You do not advice, judge, or interrogate till emotions calm down or advice is asked. You listen to the words and to the feelings behind those words. Empathetic listening is not sympathetic listening. Empathetic listening is a skill and can therefore be learnt. To listen empathetically, repeat the content of what you hear and the feeling behind them. For example, in this case you could say “You do not want to go to school because you are frustrated.” You continue empathetic listening till the other person asks for advice or opens up. This will take time but its outcome will be very different than the previous ones. Empathic listening is an important skill to learn. 5. It is always a challenge to make my child do homework and review what they learnt at school today. This is another common situation. Remember advising, threatening, criticizing or looking at children through your mental prism will only alienate them. You have to get on to their team. You have to understand that what motivates you does not necessarily motivates them. They are motivated by different things. So here are some of the things you can do. Make sure the child has a predetermined spot for study and distractions are minimised during study time. A very good way for the child to learn is to get them to teach you what they learnt in school. Always focus on the content and the process and not on the grades. Read to them stories from books and interesting articles from magazines and newspapers. Let them see you reading regularly. Children are great mimics. When grades are consistently poor, frustrated parents tend to be so involved that they end up doing the child’s homework. This must be avoided at all costs. Be involved and support the processes. Not do the work yourself. Teach them mind mapping to prepare notes. Mind Maps save enormous amount of revision time, boosts understanding and boosts memory. Regularly meet the teachers. They are professionals and will guide you in the best interest of the child. Teach your child ‘life balancing’ skills and activities. Encourage them to build friendships, participate in family activities like cooking, charity and volunteer work in the community. Get involved yourself in their school activities and school projects. Parenting is a full time effort. 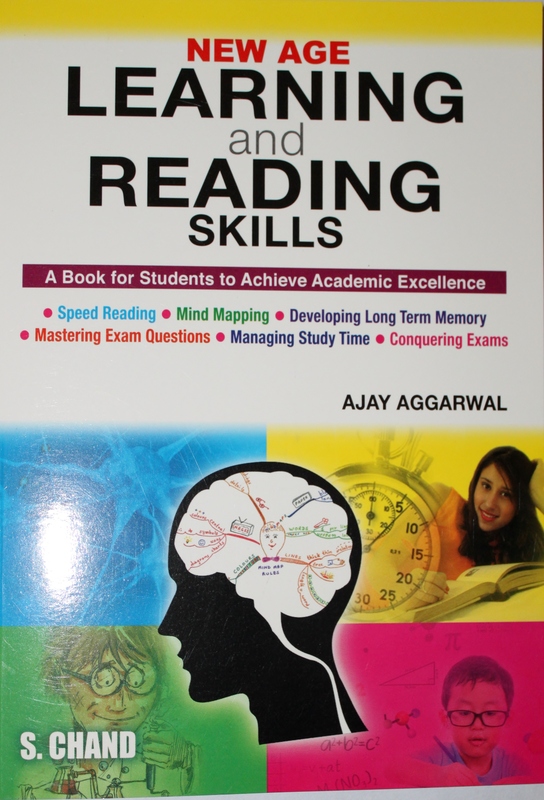 Parents need to learn themselves, or at least, be aware and provide opportunities to their children to learn essential new age learning skills – Mind Mapping, Long Term Memory Development, Listening Skills, Time Management, Speed Reading and Whole Brain Learning. These skills and your constant involvement in the learning processes will keep your child motivated to learn and develop into a happy fulfilled human being. Aggarwal, Ajay. New Age Learning and Reading Skills. New Delhi: S Chand, 2013. Dr Steven Covey. 7 Habits of Highly Effective People. Pocket Books, UK, 1999. Pincus, Debbie. 10 Ways to Motivate your Child to Do Better in School. n.d.
Yeo, Jenny. “Grades Should Not Define Our Kids.” The Straits , Singapore 22 August 2016. 6 Skills to dramatically improve your academic performance.